Whether you’ve got a 14′ mini-toon or a whopping 28′ long tri-toon weighing up to 6800 pounds, EZ Loader has you covered! EZ Loader has 21 different adjustable pontoon trailers to choose from. Available in aluminum, galvanized or our new silver-black textured powder coat, with options and accessories to fit every need. 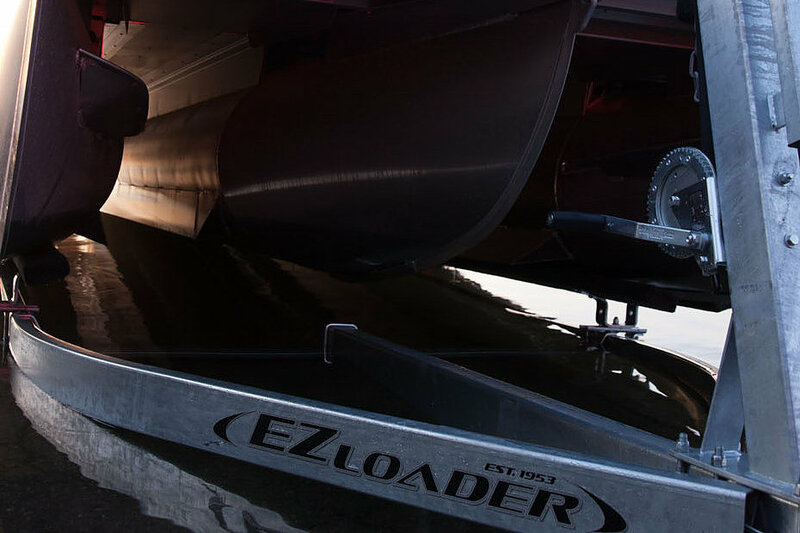 EZ Loader is how the pontoon world gets to the water! Find a dealer near you.